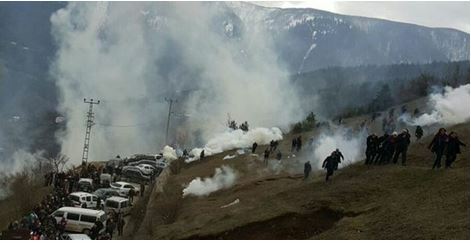 Residents of Artvin, a small town in the North-eastern Black Sea region in Turkey continue to resist the opening of a dangerous gold and copper mine in the Cerattepe area since more than 20 years. After years of resistance and several court rulings against the project, the conflict has re-escalated in July 2015, when the mining company wanted to conduct a site exploration. On 16th and 17th February 2016, police forces attacked the peaceful protesters, keeping watch of the critical nature site, with tear gas, plastic bullets and pepper sprays. Huge numbers of people arriving at the town in 300 vehicles poured in Atmaca neighbourhood, to hold the barricade against high number of police forces, transferred from the neighbouring provinces. 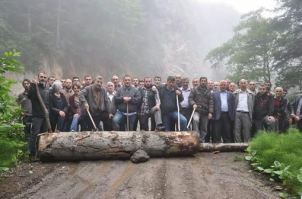 Lawyer of Green Artvin Association, the leading local organisation resisting against the project, Bedrettin Kalın stated that they could not understand why the firm can do such a thing while the judicial process is still continuing and they decided to gather to protect nature and right to live in a healthy environment. 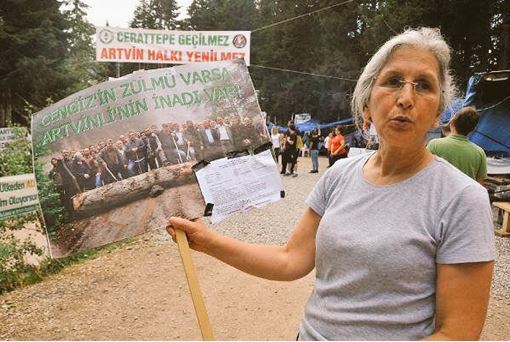 Meanwhile, on 17th February, the president of the Green Artvin Association was taken into custody. The mining project threatens one of the most important nature conservation sites in Turkey, from where all of Artvin’s drinking water comes from. Just next the mine site, there is Hatila National Park, and Kafkasör Tourism Conservation and Development area under it. The area hosts 2,000 plant forms, 124 endemic forms, hundreds of animal forms.